Hey guys! I’m getting better at being a frequent poster eh? 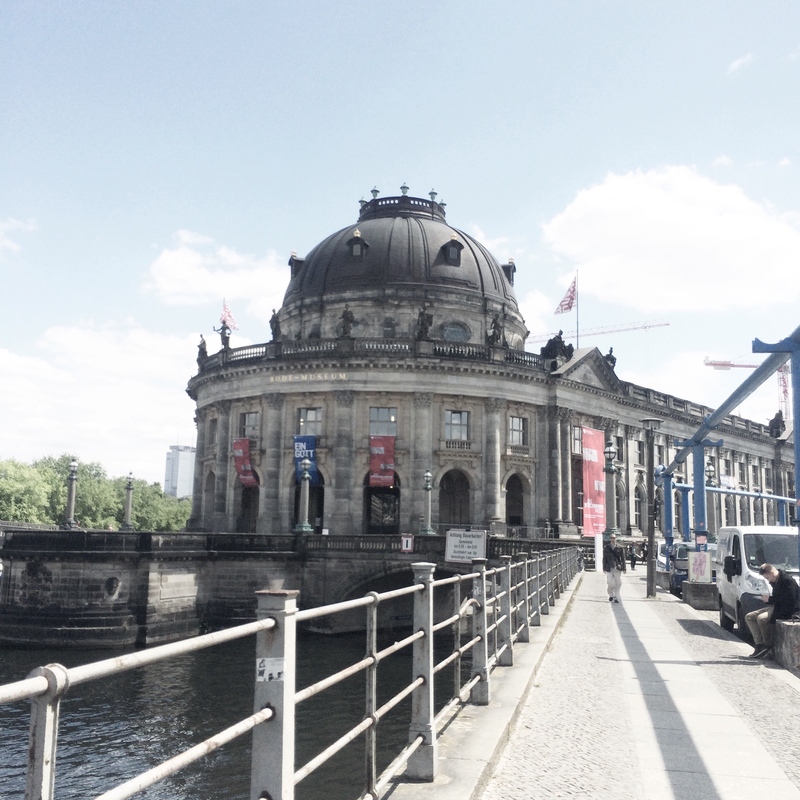 It’s the beginning of week two in Berlin and I’ll admit, I was not as positive as before I arrived. Frankly I wanted to go home, I know it’s early days but with my anxiety, a little bit of stress has me running for the hills. I rationalised all these reasons to go home and give up, I cried some and I was an emotional mess. Kate tried to cheer me up and lift my spirits which worked for a while but once I was sat thinking by myself, it hit me in the face again. 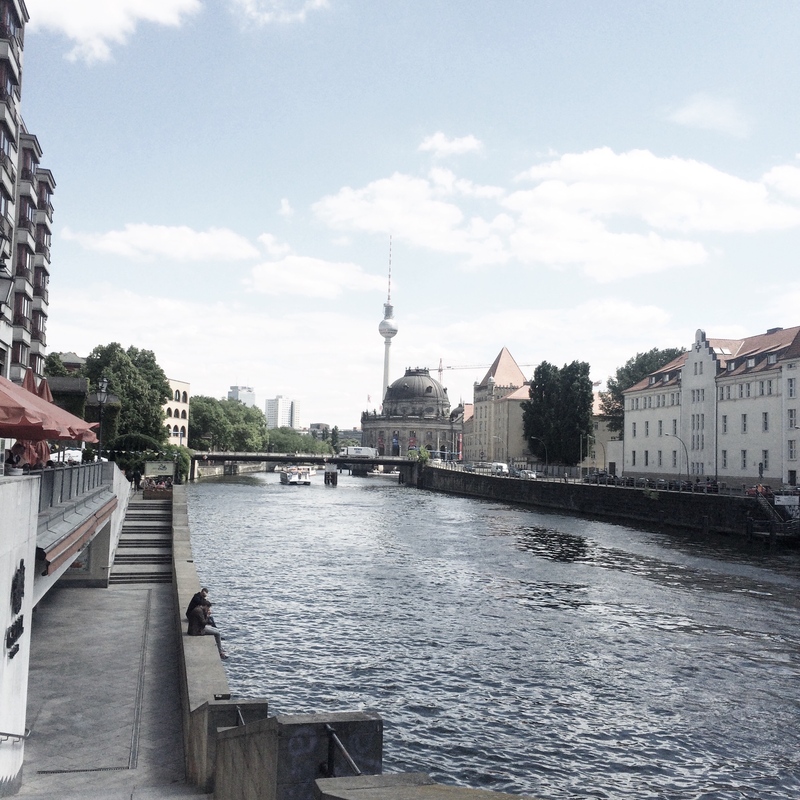 We decided to take a little break and relax, so we walked along the river, sat down, had a chat and then got some burritos in Alexanderplatz. Even with all that, when I got home I was still an emotional wreck. So I did what usually solves all, called my Mamma. My mam is my best friend and talking to her on FaceTime, even while crying a bit lifted my spirits so much. I got to see my dog, talk to my sister and I was in a generally better mood, even though I was still considering going home if I couldn’t find work. While on FaceTime I received an email about a babysitting job I had applied to a few days ago, and while I’m not sure it is a definite yes, it made me see that I can achieve this goal of living by myself for a summer and I am feeling a lot more optimistic so far. With the added push from my mother I kept going on the job front and actually landed a job promoting clubs, which again is not something I was wanting to do but it is not bad at all and it is earning money so it can’t be bad can it? So far this week we have not done much exploring as we are now settled into the life here we aren’t as concerned with running around the city everyday, we have been working a fair bit and when we aren’t working we’re relaxing and enjoying the time off. I have found myself to be missing home quite a bit, aside from obviously missing my family, I’m missing the home comforts, the every day life I lived, cuddling up with my dog every day, playing with my sister, while I am enjoying myself it’s tough when I am relaxing, sitting around after work knowing that they’re at home in Ireland and I am here feeling slightly lonely. I know it will most likely pass but I’m hoping that within the next few weeks I will begin to feel more at home and not as lonely as I have been. Promise the next few Berlin updates will be more packed with excitement, it’s just hard to when we’re working a lot of the week and spending the rest of the time relaxing and preparing for our next day in work. Hope you enjoyed reading. Awh Jade it’s horrible that you’re feeling a little weepy over there! I get terrible homesickness a lot and I’m dreading it happening when I move away soon! Keep your chin up lovely! Thanks Aoife! It’s definitely an adjustment, I think because it’s not as far as the US in my mind I’m like ‘oh if I don’t like it I can just go home’ it’s easy to escape! Hopefully it doesn’t hit you too bad when you go away!